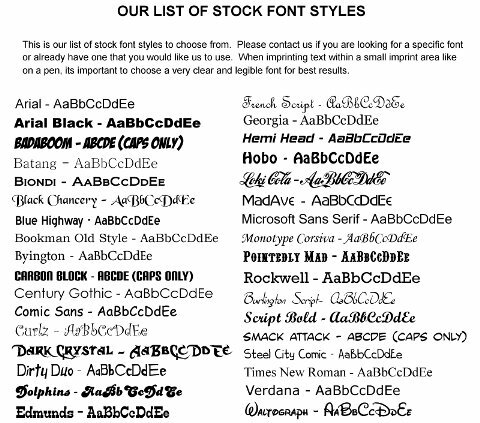 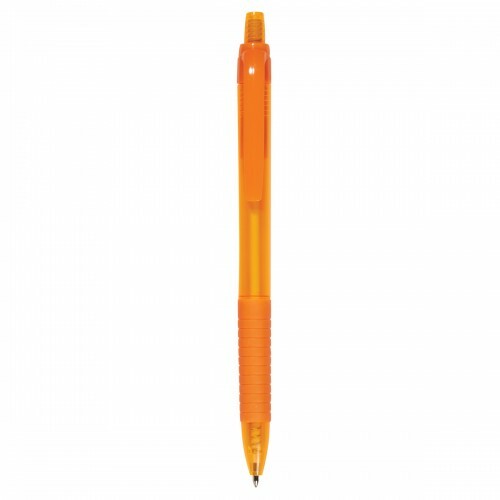 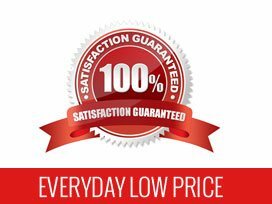 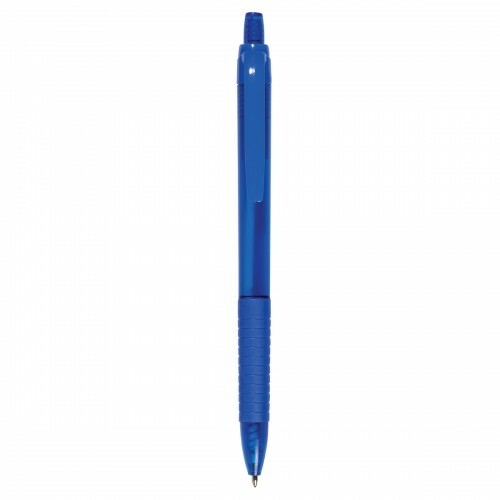 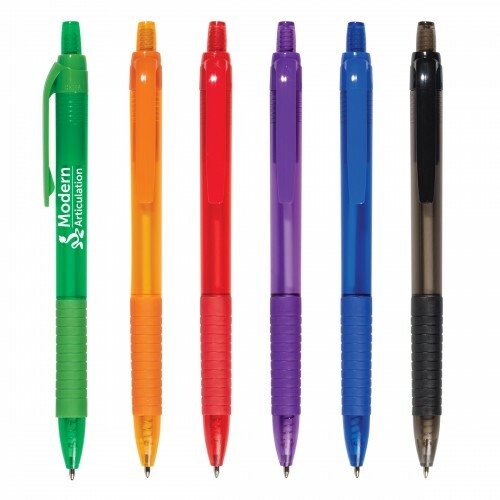 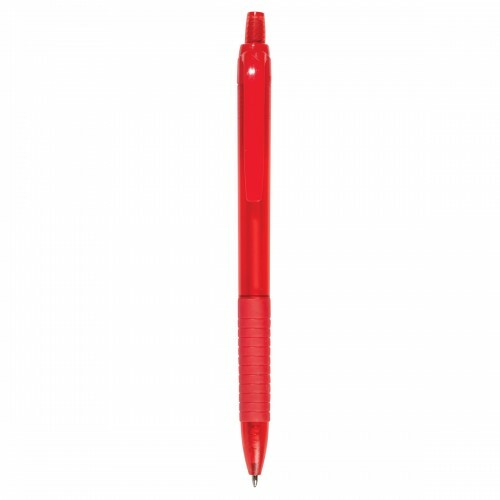 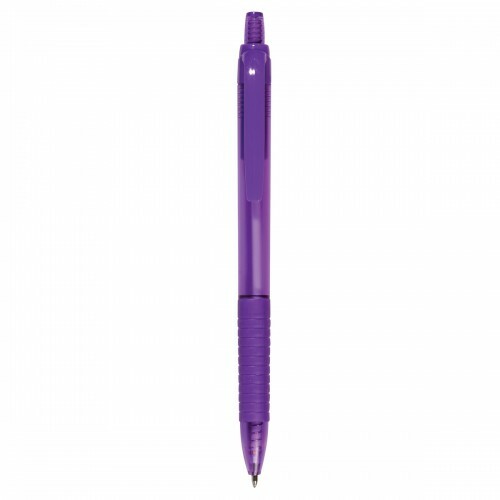 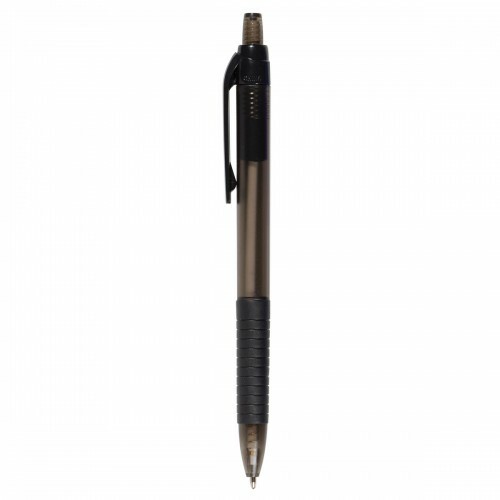 Affordable on any budget, this promotional pen makes a great addition to any marketing campaign. Featuring translucent colors in Blue, Charcoal, Green, Orange, Purple, or Red, this customized pen has a matching rubberized grip for a comfortable hold. 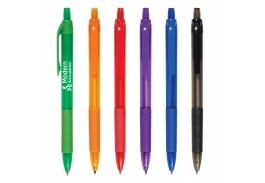 Colors: Translucent Blue, Charcoal, Green, Orange, Purple or Red.